Description: 10 Coloured Penils in Pouch. 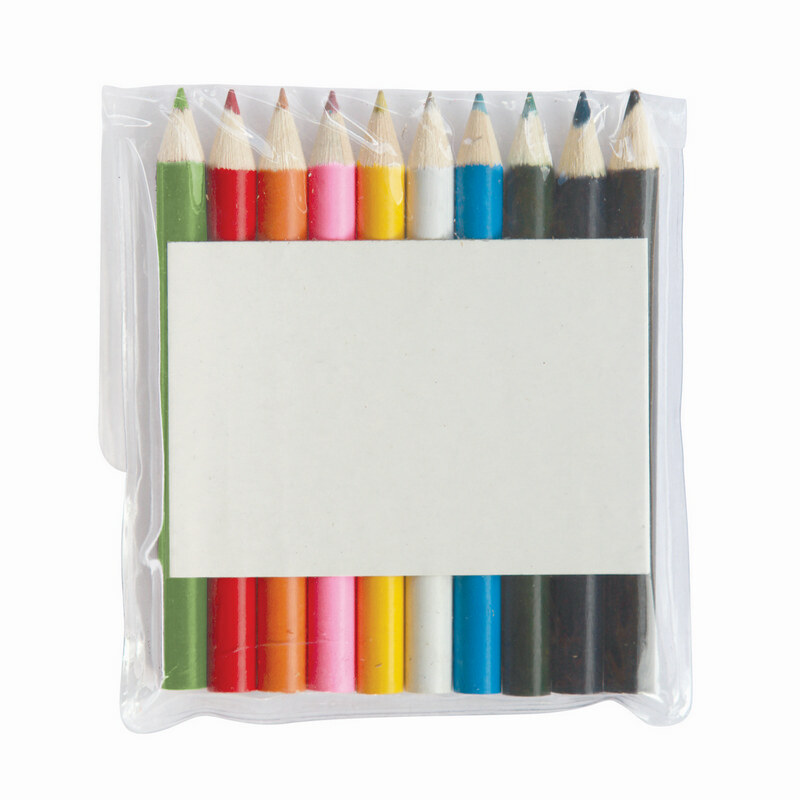 Various coloured Penils are presented in a pouch with an insert that can be pad printed with your client`s promotional logo to create a branded gift for the kids. Colours: Assorted. Materials: Wood. Decoration Method: Pad Print. Price includes : Printed - 1 col, 1 pos. Setup is included.